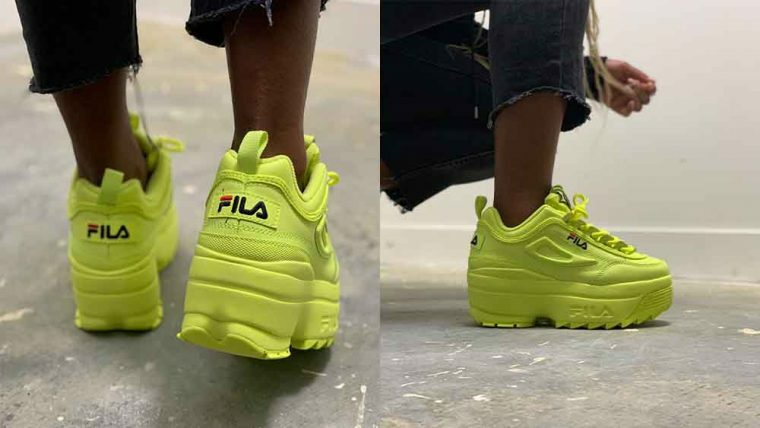 Inject some neon into your life with the Fila Disruptor II Platform sneaker in Lime. Coming in at a hefty 8cm, the platform midsole isn’t for the faint hearted. If you want to make a statement, why not try the trend of the moment – neon! 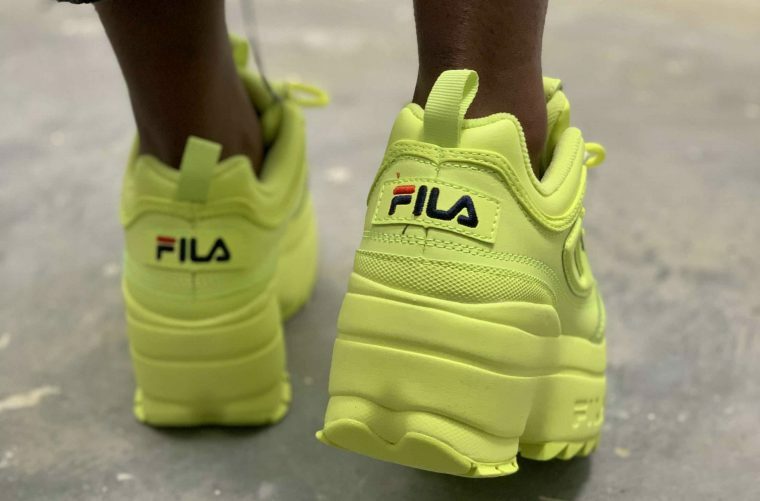 Returning to the scene at the tail end of 2017, the Fila Disruptor took the fashion and sneaker world by storm as we saw the chunky dad shoe trend grow to new heights, taking inspiration from 90s sneaker brands like Buffalo. The heavyweight sneaker brands have also weighed in on the trend, with the Nike M2K Tekno, the adidas Falcon – made famous by Kylie Jenner – and the more recently released Reebok x Gigi Hadid Classic Leather Triple Platform. 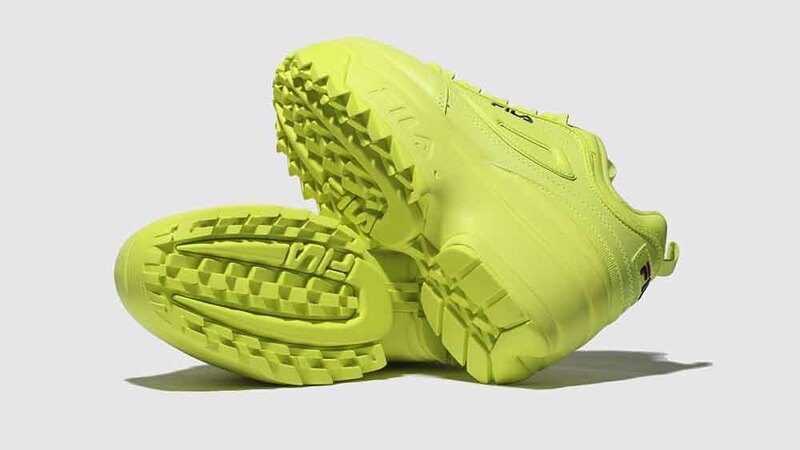 This time around, Fila is going all-out, with a monochrome punchy lime green that you can’t miss. The oversized sole shows Fila branding embossed, while the deep cleated outsole has that distinct Disruptor aesthetic. Here, we’ve kept the neon and bright colours on the subtle side (if you could call it that??) 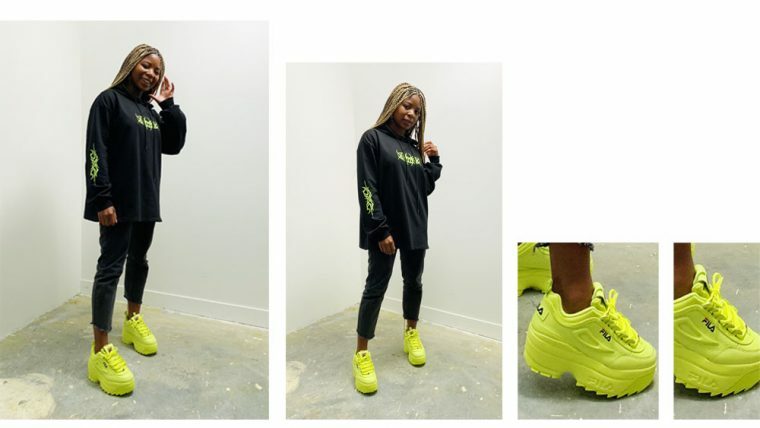 by styling the Platform Disruptors with black mom jeans and an oversized black hoodie with neon detailing on the front and sleeves. If you’re feeling more bold, style with more neon and 3M pieces to amp up the vibrancy. 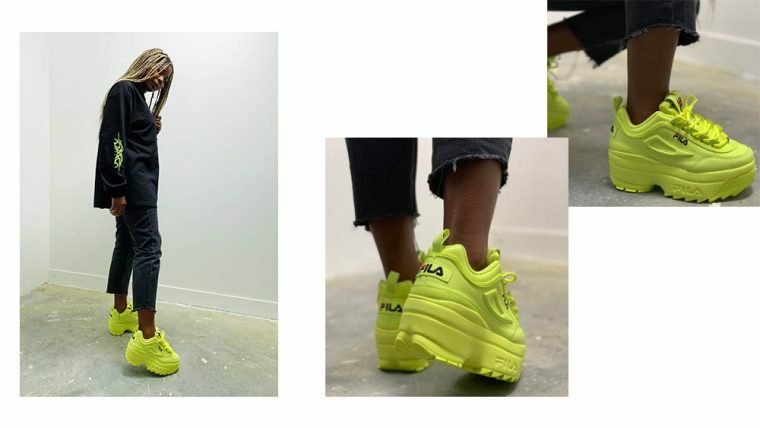 Shop the Fila Disruptor II Platform sneaker in Lime from Schuh today, and keep it locked to The Sole Womens for more of the latest updates and breaking sneaker news.